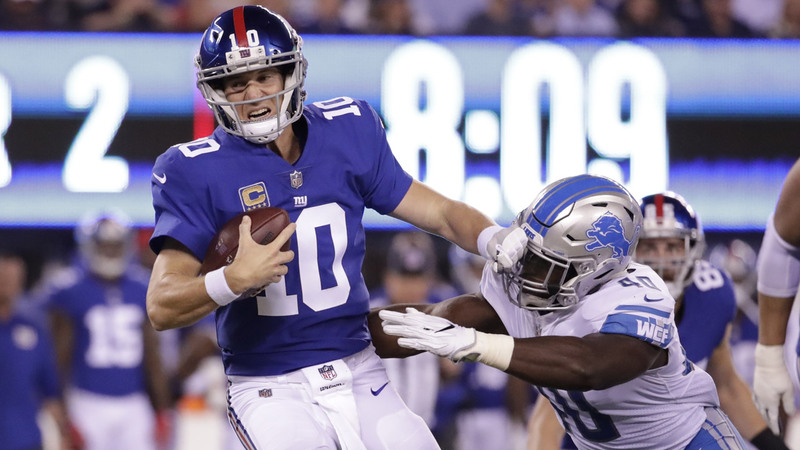 NEW YORK (WABC) -- There is some good news for fans of the New York Football Giants -- The season will come to an end in just two more games. There can be no sugar coating this season. This team has crashed and burned in almost every category. The play on the field had been horrible, while the atmosphere off the field has been equally as bad. It cost the head coach and general manager their jobs. But back to that good news. The Giants are currently in line for the second pick in the NFL Draft. All they have to do is lose their final two games, and they can do no worse than the second pick. This organization figures not to pick this high again for a long time, and it will give them a chance to draft their next franchise quarterback. Either Josh Rosen or Sam Darnod would have to be available to them, and if they believe that Davis Webb is the future, they could easily trade out of that pick and bring in a ransom of players to start turning things around. There's only one thing the Giants can do wrong, and that is win one game and most probably drop to the third pick. Or even worse, win their final two games and possibly drop out of the top five. The only way to mess this up is to win, so the play here is to lose the final two. That alone could make the rebuilding process go much faster.